Sherry moved to the Houston area in 2012 and became a Texas licensed midwife in 2013. She and her husband have been married 22 years and have three teenage children (two in high school and one in college). All three of their children were born at home - two waterbirths and one "land" birth. I do some postpartum work and would be happy to chat. Nicole Deelah does placental encapsulation. She also does classes on examining the placenta and how-to on encapsulation. I got this message as an email and I received all responses thus far, EXCEPT Erin’s. I can’t find evidence in my inbox or trash folder that her response was sent. (I also noticed that the messages are being time stamped incorrectly. Darlene’s response is stamped January 18, 2019 at 1:39 pm — It’s 8:57 am on 1/18/19 right now. 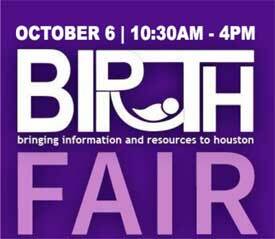 my birth center listed. I see a few are listed. Does the birth center pay a membership? If you are not sure of your username you can use the email address you used when you signed up to the website. If don’t know your password you can use the “Lost your password?” link on the log in page. Just enter your email address and follow the instructions. I got it. Anyone trying to figure out how to reply… you need to log in to our website. Your username may be your first name. Does anyone remember what our original passwords were? Some people are having trouble logging in.